When Richard Appiah Akoto appeared onstage at the 2018 Microsoft Educator Exchange (E2), a gathering of innovative educators discussing the latest tech trends in the sector, he received a long and standing ovation from fellow educators. 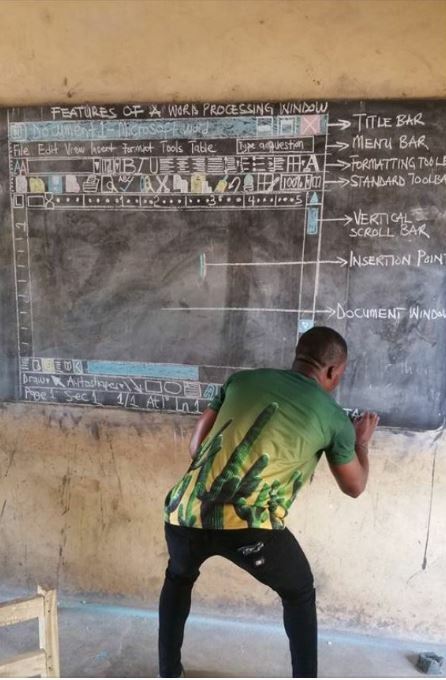 They recognized him as the dedicated educator who resorted to using a chalkboard in his computer studies class because his school, the Betenase Municipal Assembly Junior High School, located in an impoverished farming village in Ghana, had no working PCs. The photos of Richard painstakingly sketching out a mock-up of a Microsoft Word screen in colored chalk on his classroom blackboard so his students could learn digital skills even without devices, were shared thousands of times on social media. But it wasn’t the first time he’d used this technique – by the time his story went viral, he’d also drawn monitors, system units, keyboards, a mouse, formatting toolbars etc. on the chalkboard in effort to show his students what a computer screen looks like. His story caught the attention of individuals and organisations everywhere. Microsoft, a company committed to helping every person on the planet achieve more, was particularly inspired by Richard’s determination in helping his students learn digital skills and invited him to attend the 2018 Microsoft Educator Exchange (E2) in Singapore. E2 is an annual event that sees hundreds of the world’s most innovative educators gather in one place to celebrate incredible work done in the classroom. During the event, educators share ideas and best practices, collaborate on projects and work together to make progress on some of the most challenging areas of education. Attendees are also energized by meeting like-minded educators and often form sustaining friendships that continue to blossom many months and years after the event has concluded. This was exactly the case for Richard. 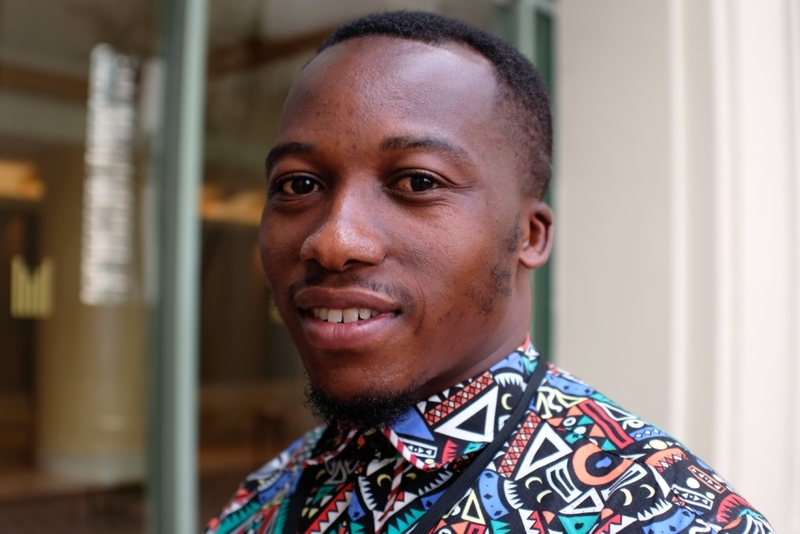 “I’d never traveled outside of Ghana, so the opportunity to interact with educators just like me from other parts of the world was incredibly inspiring,” he says. Today, Richard can teach on a computer. With the assistance of organisations like Microsoft, the Sekyedomase village now has two fully-fledged computer centres. “After I returned from E2, we received donations in the form of laptops, textbooks and software from corporates and NGOs in Ghana. It was a great blessing for our community,” he says. Richard also gained access to the Microsoft Certified Educator Programme (MCE) for professional development, so he can nurture his passion for teaching, and build rich, custom learning experiences. This year’s E2 will be held in Paris, France from 3-4 April 2019. Microsoft will be bringing more educators like Richard together, not only to celebrate and acknowledge their efforts face-to-face but also to provide them with the opportunity to collaborate with and learn from each other.